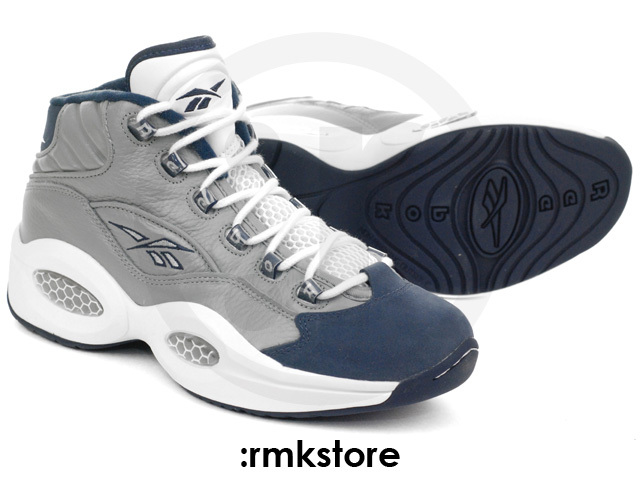 It doesn't look like A.I. 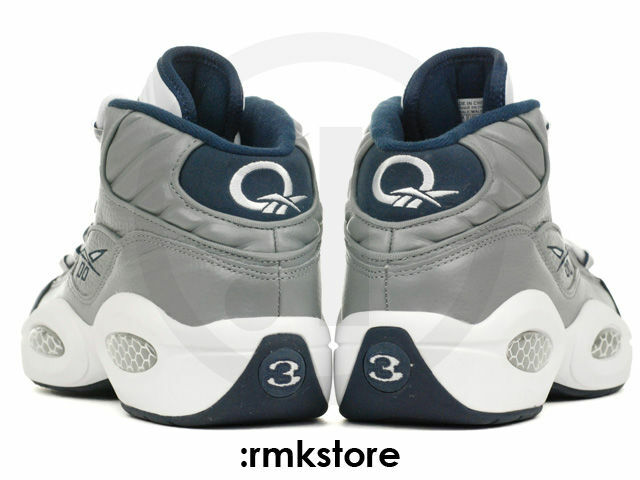 is heading back to the NBA anytime soon, but his original Reebok signature shoe is due back for another round in March. 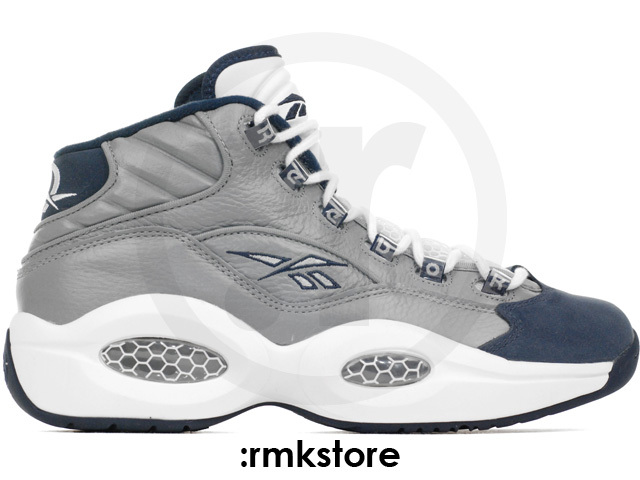 Taking us back to Allen Iverson's college days, this Reebok Question is styled in Georgetown Hoyas colors, including a grey leather upper with navy hits on the toebox, inner lining and heel. 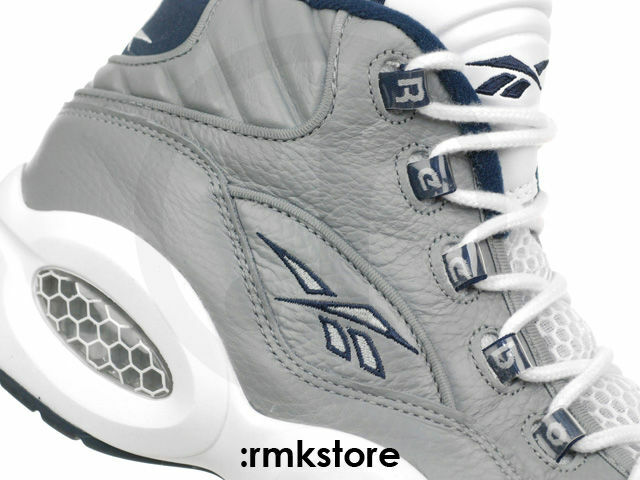 White fills in the tongue laces and midsole, which sits atop a navy rubber outsole. 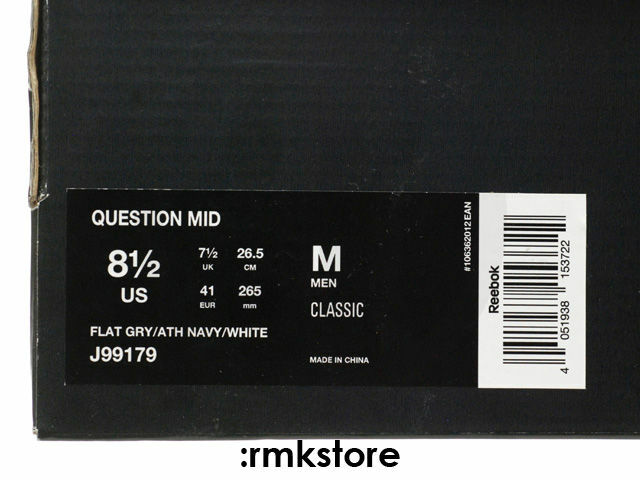 Official drop date is March 8, but RMKStore is offering a run now.